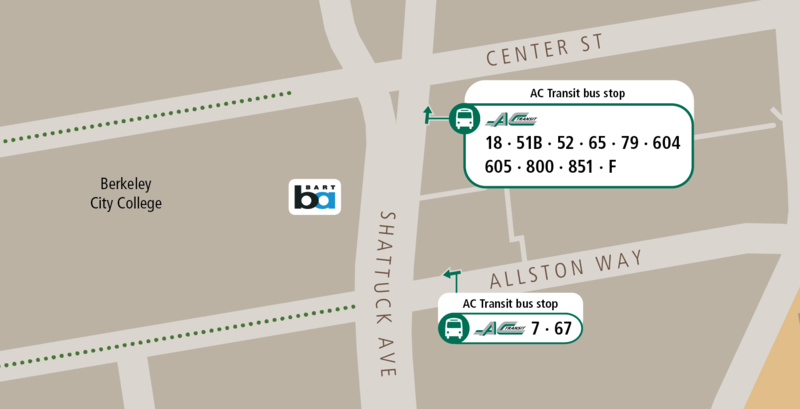 When the project is completed, AC Transit stops currently on Shattuck Avenue between Center and Addison streets will be relocated to a new transit plaza between Center Street and Allston Way. During construction, the stops will be relocated three times to accommodate the development of the project. During Phase 1, the Pyramid Hotel construction will close the current stops. Lines 18, 51B, 52, 65, 79, 604, 605, 800, 851, and F will temporarily serve new stops on Shattuck Avenue between Center Street and Allston Way. 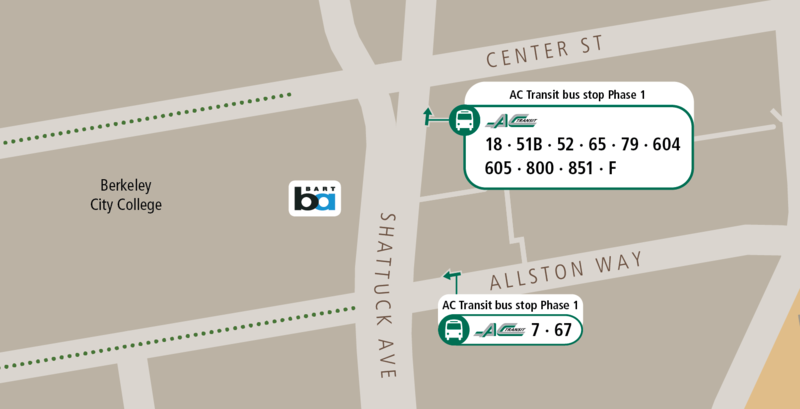 Lines 7 and 67 will continue to serve the stop on Allston Way at Shattuck Avenue, but will not serve the temporary transit plaza. 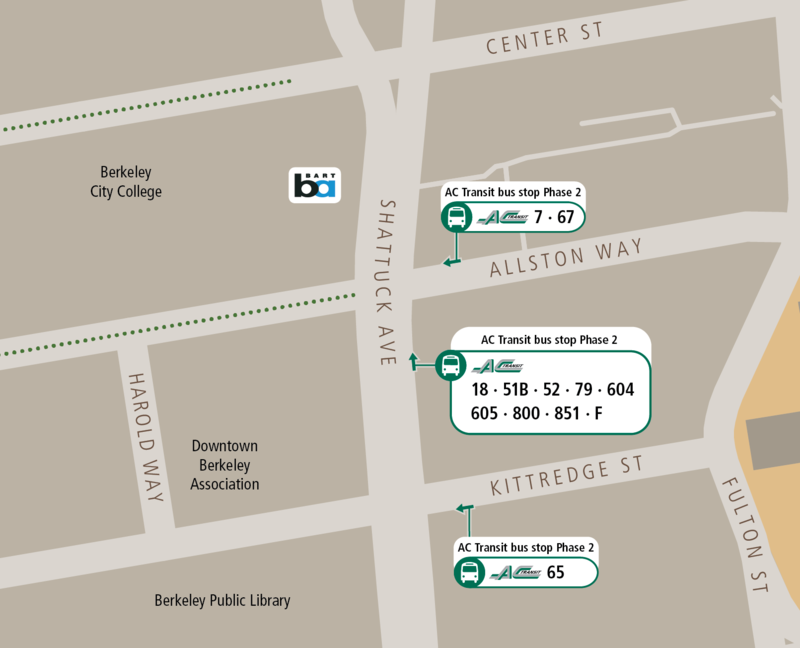 To accommodate the construction of the new transit plaza, the stops for lines 18, 51B, 52, 79, 604, 605, 800, 851, and F will then temporarily move to Shattuck Avenue between Kittredge Street and Allston Way in Phase 2. 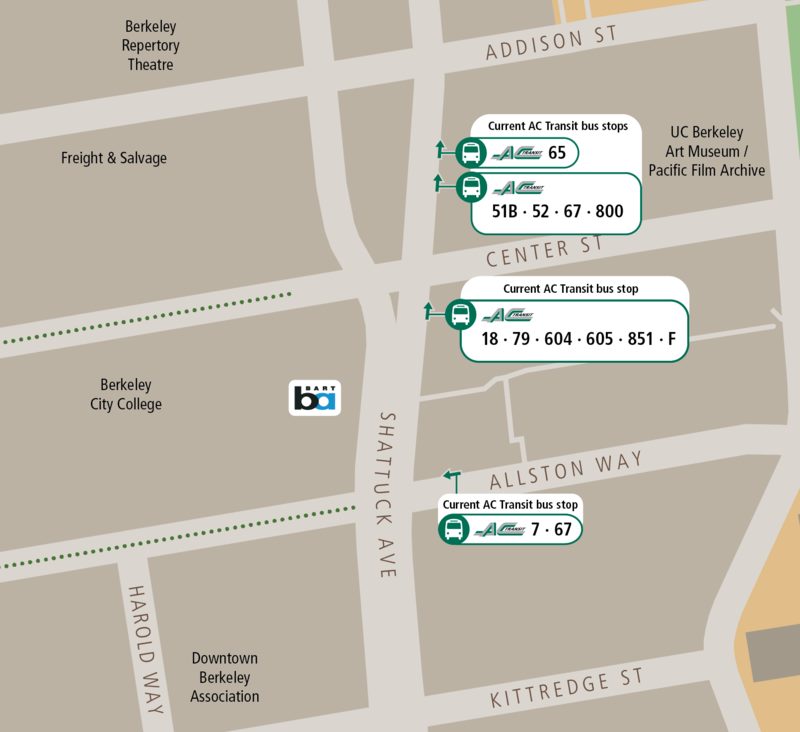 Line 65 will serve a new stop on Kittredge Street at Shattuck Avenue. The new transit plaza will take approximately nine months to build. Once completed, the stops will move back permanently to the new transit plaza. The project is slated for completion in late 2020.